The arrival of a new phone lines is a trying time for Apple fans. You love your current phone, you know how it works, and you’re comfortable using it. New iPhones always have better features, though. Plus, they’re so shiny! Should you trade in your current phone for the new hotness? Here’s a guide that will help you decide the all-important question: Is it worth upgrading to the iPhone 8 Plus? When you choose whether to upgrade, you need to prioritize. What matters most about your phone? The largest concern is security. Should a hacker breach your phone, this person would have access to all your financial information. You could find your banking and credit card information stolen. Similarly, any private documents are now in the hands of a criminal. Nothing good could come from that. You need a phone with the best possible security, and that’s the iPhone 8 Plus, not its counterpart, the iPhone X. The more expensive Apple line has added a controversial service known as facial recognition. Its reliability is in question due to several troubling reports. The iPhone 8 Plus used an improved version of Touch ID, a much safer technology. It’s the better phone for security. Apple’s added another important security feature. 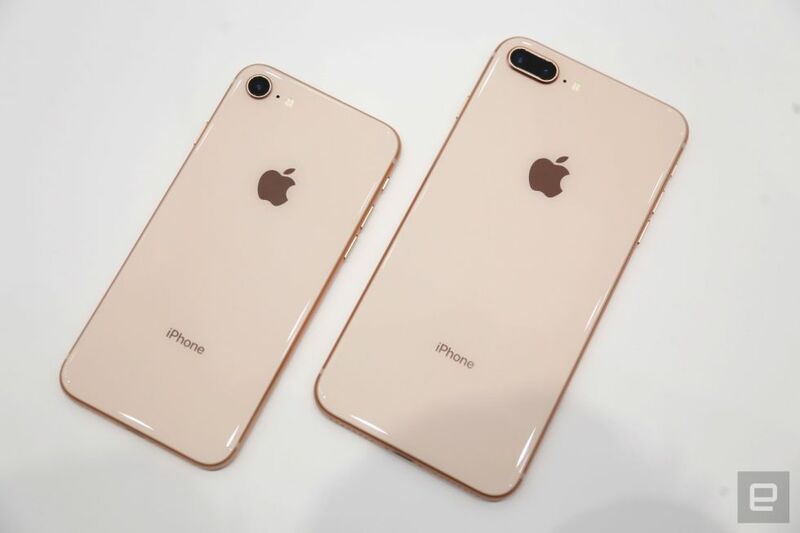 When you buy the iPhone 8 Plus on a carrier such as T-Mobile’s 4G LTE network, you get more than just an amazing phone on a reliable network; you also get the first iPhone that’s protected against computer connections. What does that mean? Historically, when you paired your phone with a computer, the system gained full access to your data. Your cellphone automatically ceded all information to the computer — a gigantic security risk. Apple finally listened to critics with the latest models. The iPhone 8 Plus requires two-step authentication for computer pairings. The first step is the passcode. Second is a prompt that comes up on the screen once logged in that says, “Trust this computer?” You must tap on yes. A hacker is unlikely to have the passcode information, making your data safer on the iPhone 8 Plus. Graphics matter on cellphones. Apple’s iPhone series has struggled to keep up with Android models in recent years. The Apple line has had inferior camera technology, limiting the quality of pictures. Users have lamented this issue, but they’ve missed a more important one. Literally every time you look at your phone, the quality of the graphics matter. Pictures are a small part of phone usage. Apple appreciated the limitations of the prior models. With the iPhone 8 Plus, you’ll have a 5.5-inch display. This portable monitor is capable of 1920×1080 resolution at 401 pixels per inch. In addition to 1080p video recording, the new model is capable of High Dynamic Range (HDR), the greatest dynamic range possible in the mainstream marketplace today. Thanks to HDR, everything looks richer and more realistic. Your pictures are sharper and seem more professional. Just as importantly, all the movies and videos you stream look better than ever before. Virtual reality seemed like a science fiction story premise until the last few years. After the introduction of the Oculus Rift and HTC Vive, companies have finally started created games and apps that take advantage of the technology. Previous iterations of the iPhone line wholly ignored augmented reality (AR), but Apple has prioritized it with the latest phone line. The iPhone 8 Plus is capable of amazing AR. Apple displayed several breathtaking demos during their product announcement. Their executives emphasized that developers are about to unleash a slew of new AR apps in coming months. Any phone prior to the iPhone 8 cannot use those apps at all. Even if you’re not that interested in AR yet, you’ll want this model to future-proof your investment. Otherwise, you may miss out on using a technology that will become wildly popular over the next few years. Simply stated, the iPhone 8 Plus is a worthy upgrade for all the reasons listed above and countless others. It’s time to throw out your old phone and treat yourself to new, better model! How SiteLock Integrates Online Shopping Websites for Best User Experience?